Low blood pressure or Hypotension is a condition in which a person’s blood pressure drops down from normal level and may causes various health problems. 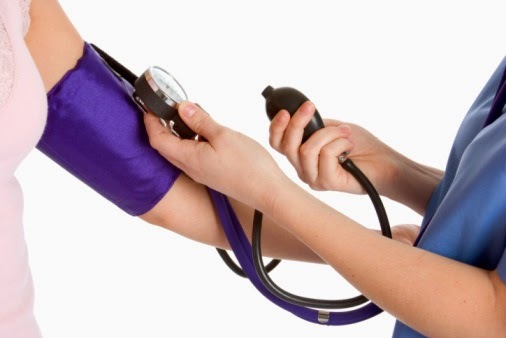 Our Body has narrow limit of normal blood pressure (110/75mmHg-130/85mmHg) . Blood Pressure Lower than this limit (110/75mmHg) is known as Low Blood Pressure(Hypotension). Low Blood Pressure even less than 90/60mmHg) is considered very dangerous because it may cause inadequate flow of blood to organs such as the brain, kidneys, and heart and may result in severe or fatal consequences. However, here we have some best natural remedies to bring back your high blood pressure to normal level (120/80mmHg). Let's have a look on them and maintain your blood pressure at normal level, simply by following given Natural Tips. Almonds are considered very effective to cure the problem of low blood pressure. In a bowl of water, soak 6-7 almonds at night. Early morning, peel and grind them to make a paste. Now mix this paste to lukewarm milk and drink this mixture on a daily basis. This simple home remedy will give you an amazing result even after few days. Raw beetroot juice has been shown excellent results in attaining normal blood pressure. To cure the problem of low blood pressure (hypotension), drink a cup of beetroot juice twice a daily. To cure the problem of low blood pressure take a bowl of water and soak 15-20 Raisins in it before going to sleep. Early morning chew them one by one, on an empty stomach and then drink a glass of water. Pomegranate is also considered very effective to treat the problem of low blood pressure. Eat it as a fruit or drink its juice, in both forms it is highly beneficial to normalize the low blood pressure. A mixture of lemon juice, salt and honey is also very beneficial for patients of low blood pressure. Mix 1 tablespoon of lemon juice, half teaspoon of honey and a pinch of salt into one glass of water. Drink this solution on a daily basis to cure the problem of low blood pressure. To cure the problem of low blood pressure, crush 10-15 holy basil leaves (Tulsi) and strain through a clean muslin cloth. Have this filtered mixture, along with a teaspoon of honey, on an empty stomach. This simple natural remedy is quite effective to treat the problem of low blood pressure. Prepare a cup of strong black coffee and consume this whenever you feel that your blood pressure is decreasing down. Although drinking black coffee may temporarily increase blood pressure but one should consult a doctor as caffeine in coffee, if take in excess can cause other problems. Try to include foods rich in Vitamin B12 and iron in your daily diet plan because lack of them also causes blood Anemia and low blood pressure. Red meat, liver, fish ( salmon and sardines) eggs and low fat dairy products are good food choices to prevent anemia and low blood pressure. However, to increase iron absorption in body, one should eat iron rich foods along with Vitamin C rich foods because Vitamin C aids in iron absorption. Low blood pressure caused by dehydration can be cured by drinking lots of water. You should drink at least 8-10 glasses of water on a daily basis to prevent dehydration. Water not only helps to maintain the blood concentration at normal level but also helps a lot to bring back the blood pressure at normal level. Adopt a habit of regular exercise because lack of physical activities may also drop down your blood pressure but a habit of regular exercise helps a lot to maintain the blood pressure at normal level. Early morning jogging, cycling, swimming or simple brisk walking helps a lot to increase your Blood Pressure upto Normal Level.